Jack Felman is a medical doctor in general practice in Melbourne, Australia. He has been writing and performing comedy for 30 years. Twenty years ago he created the Bubba, everyone's favorite Jewish grandmother, a character who loves to give unwanted advice and who is well known to Melbourne and Sydney audiences. 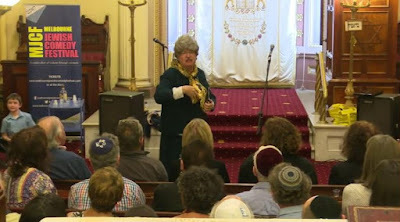 Last year saw the inaugural of the Melbourne Jewish Comedy Festival, which brought together some of Australia's funniest Jewish comedians.